SBI Jobs Recruitment Notification 2019.State Bank of India (SBI) inviting applications for the positions of Manager & Dy Manager.Interested and Eligible candidates can apply for the positions. 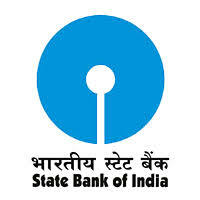 Total Specialist Cadre Officer vacancies to be filled on regular basis in SBI are 16. MBA/ PGDM/ PGDBM/ equivalent degree holders having minimum post qualification experience are only eligible to apply for SBI Specialist Cadre Officers Recruitment 2019 Jobs. Minimum age for MMGS-III applicants is 27 years, maximum age is 35 years. Minimum age for MMGS-II applicants is 28 years, maximum age will be 37 years. Selected candidates for Middle Management Grade Scale-III posts is Rs.42020-1310/5-48570-1460/2-51490. Mode of applying for SBI SCO Recruitment 2019 Notification is through ONLINE mode. From 22nd January 2019 to 11th February 2019 candidates can apply online. https://bank.sbi/careers/ is the link to apply online.